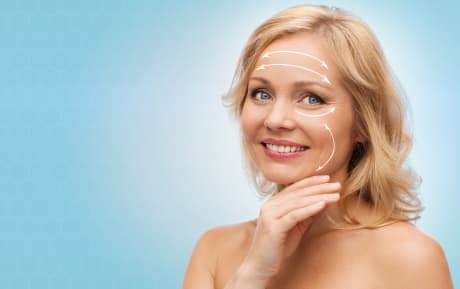 Get the facts about facelift, including the visible signs of aging that different types of procedures can address. Dr. Peter J Catalano, MD is a Doctor primarily located in Brighton, MA. He has 34 years of experience. His specialties include Otolaryngology. He speaks English. Dr. Catalano has received 5 awards. The overall average patient rating of Dr. Peter J Catalano is Excellent. Dr. Peter J Catalano has been rated by 47 patients. From those 47 patients 14 of those left a comment along with their rating. The overall rating for Dr. Peter J Catalano is 4.7 of 5.0 stars. I traveled from out of state to bring my daughter to Dr Catalano for sinus surgery. Highly recommend! Her sleep apnea was cured and she is breathing so much better! He is extremely personable and his answers to my questions were easily understood. my r.i. dr has recommended dr. catalano for the latera implant proceedure, however my r.i. bcbs insurance does not yet cover this proceedure and i would seriously consider having it done and paying for it myself depending on the total cost. would you please give me a rough idea of the total cost including the surgeons cost, the anesthesiologist ,the out patient use of the operating room and any other relative cost associated with this proceedure so i can consider having it done . thank you. After years of stuffy nose that was worsening to the point of poor sleep quality, (and after several years on allergy meds) I saw his description of bi-turbinate reduction procedure and the -more- than satisfying results. Search You Tube: Peter Catalano + bi-turbinate reduction. I have had the surgery, and I breathe freely now without any more Claritin D! Both he, his staff, and hospital won high marks with me. Thanks, Doc! Dr. Catalano was my doctor at Mt. Sinai in NYC. I was a scared woman that thought she was going crazy. He diagnosed Menieres Disease. He try treating me with just meds. Medicines did not work. Ended up having to do nerve resection. He was very helpful in helping me understand this terrible disease and how to live with it. Take a minute to learn about Dr. Peter J Catalano, MD - Otolaryngology in Brighton, MA, in this video. Dr. Peter J Catalano is similar to the following 4 Doctors near Brighton, MA. Dr. Peter J Catalano Is this you? Have you had a recent visit with Dr. Peter J Catalano? Select a star to let us know how it was.